In the United States, there are thousands of chemical manufacturing facilities, run by chemical plant operators. These operators are highly paid and enjoy a stable work environment, and there is an ongoing need for entry-level personnel. This program can help you get started. Prepare for an entry-level position in a chemical plant with the Chemical Plant Operations Online Training Program. Chemical plant operators generally enter the workforce in entry-level positions and work their way up, sometimes to senior management positions. Currently a large portion of the workforce is retiring, creating a critical shortage of technical workers for many years to come. There are very few institutions that provide training for entry-level operators. This Chemical Plant Operations Online Training Program is unique and user friendly, designed for people who have minimal knowledge of the industry or math, physics, or chemistry. The necessary science concepts are built into the program modules. Chemical plant operators have the responsibility to make sure units and process systems function properly. They consider personnel safety as the primary objective and ensure production processes are operating safely. 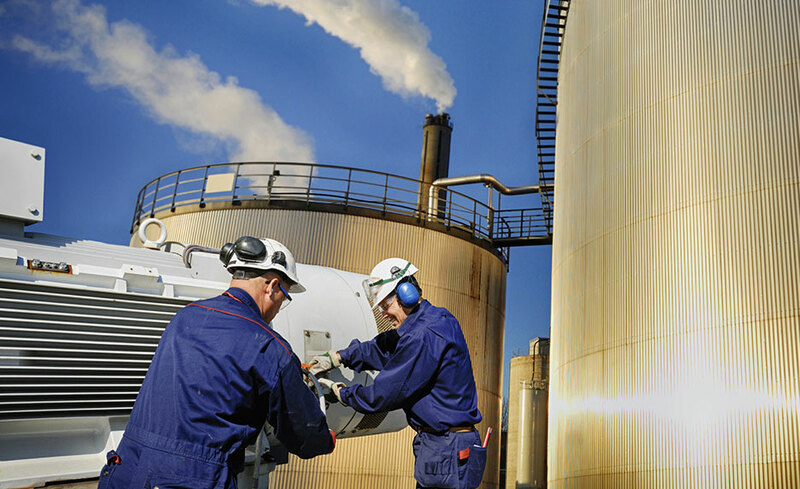 Operators continually monitor instrumentation and the operation of equipment, and they make adjustments to keep system process variables within acceptable ranges. Chemical plant operators enjoy good wages. Depending upon industry and location, entry-level chemical plant operators usually make $13.00 to $20.00 per hour. After a few years of experience, generally the pay range is $18.00 to $30.00 per hour. Chemical plant operators are rarely laid off, and nearly all regions of the United States have some chemical manufacturing facilities. Many entry-level chemical workers eventually make their way into supervisory and management positions. Generally chemical plants have above-average benefits for workers. Get started in the field by taking the Chemical Plant Operations Online Training Program! To enroll in this program, you should have basic keyboarding and computer skills and be comfortable navigating the Internet and using e-mail. You should have a high school diploma or the equivalent. This program is for you if you’re seeking entry-level employment in chemical plants. Everything in this program was great!